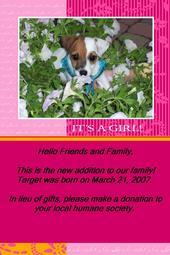 Target is a wonderful addition to our family. She is very smart and loves to play and go on long walks. She ends her day by snuggling and snoozing with Mommy.